MOSCOW (Sputnik) - The Iranian authorities announced that anti-government protests, which hit the country in recent days, have ended. Since December 28, Iran has faced its largest protests in nearly a decade. The demonstrations started in response to a surge in fuel and food prices and high rates of unemployment, inflation and air pollution. At least 20 people have reportedly been killed in the nationwide protests, and 450 people have been detained, according to media reports. The official figures said that about 15,000 people participated in the protests in such cities as Tehran, Mashhad, Isfahan and Rasht. 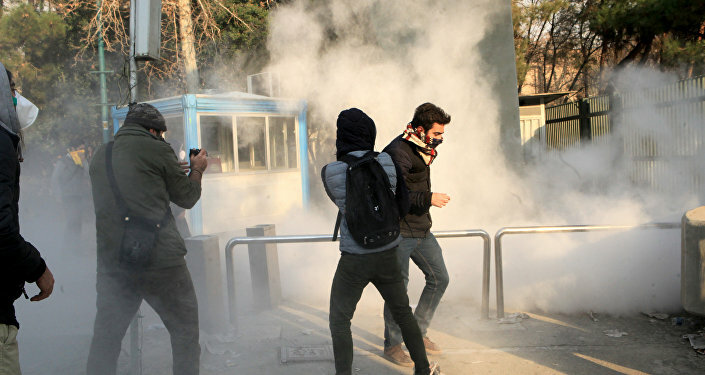 Iranian President Hassan Rouhani said Monday that the unrest had been provoked by the combination of existing domestic problems and outside influence. Maj. Gen. Mohammad Ali Jafari, the commander of Iran's Islamic Revolutionary Guard Corps (IRGC), said on Wednesday that the riot had failed and the protesters had not reached their goals. "I announce that the riot of 1396 [year according to Iranian calendar] has failed… The number of protesters was small and it did not exceed 15,000 people across Iran," Jafari said as quoted by the IRGC information portal. The official added that Israel, Saudi Arabia, and the United States had ordered the militants from Daesh to enter the Iranian territory in order to carry out subversive activities. On Wednesday, Gholam Ali Khoshroo, Iran's permanent representative to the United Nations, sent a letter to UN Secretary-General Antonio Guterres, in which the Iranian diplomat accused Washington of interfering into the Iranian domestic policy through the support of anti-government rallies. "In the past several days, the US administration, led by the US president, has stepped up its acts of intervention in a grotesque way in Iran’s internal affairs under the pretext of providing support for sporadic protests, which in several instances were hijacked by infiltrators to include acts of senseless homicide," Khoshroo said in the letter, as quoted by the Tasnim news agency on Thursday. The permanent representative added that the US activities violate the international law and the UN charter. The diplomat noted that Iran's constitution guarantees the citizens' right to protest. "As in all other democracies, the Government of the Islamic Republic of Iran is determined to protect this right as well as the safety and security of its citizens against acts of violence and destruction," the letter said. The envoy expressed hope that the other countries would condemn the US policy and would call on Washington to abide by international law. The public events held by people criticizing the country's authorities were not the only rallies held across the nation. 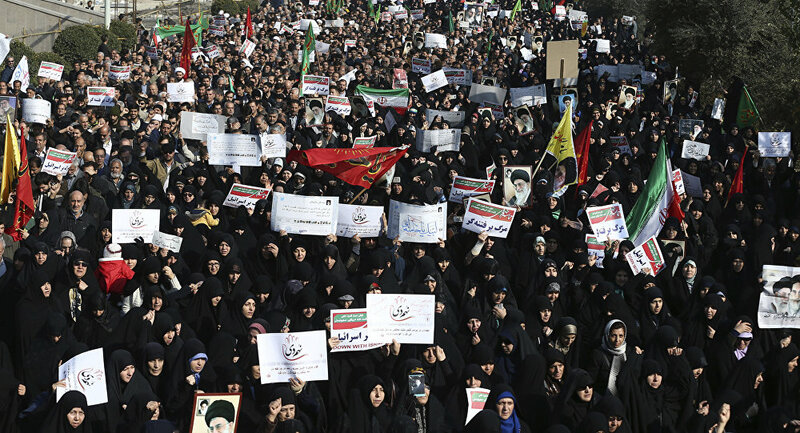 On Thursday, several thousands of Iranians, who support the government, gathered in the western city of Hamadan, according to the Mehr news agency. The outlet added that people participating in the event held the national flags and portraits of Rouhani and Ayatollah Ali Khamenei, the Iranian supreme leader, and chanted slogans in support of the government and police.